I had such a fun evening with Amanda and Laine and their super sweet dog, Bauer. We lucked out with the weather as it was calling for rain but turned out to be a really gorgeous overcast day, which I find can help create a really beautiful mood and rich tones in photos. We hiked throughout the stunning Lighthouse Park, in the forest and to a couple of amazing ocean look out spots. Laine and Amanda are so much fun and have such great energy! I feel so grateful to have such down to earth, fun and adventurous couples this year. 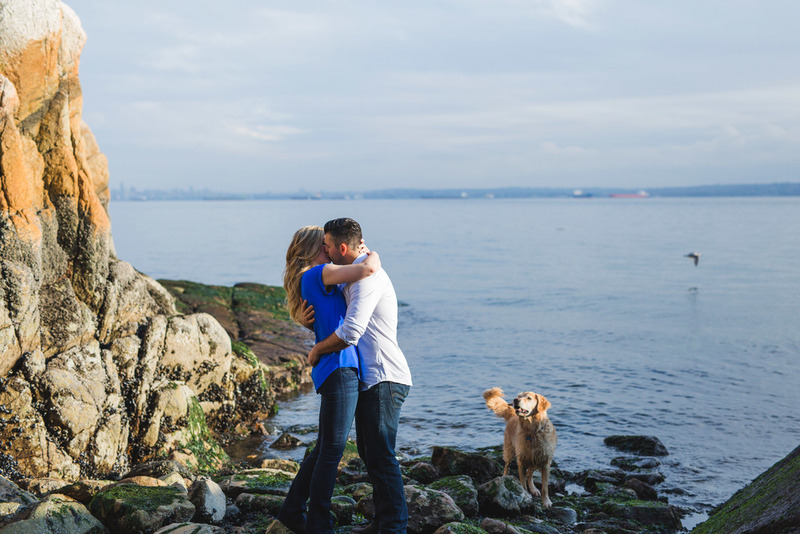 So looking forward to photographing their wedding on the Sunshine Coast this fall! Incredibly happy for you two! !